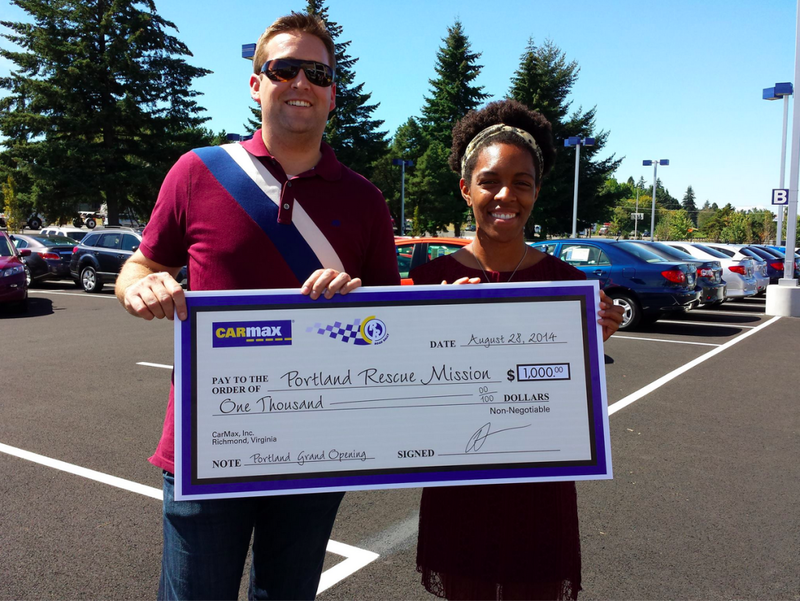 Special thanks to CarMax and KGW for teaming up to raise money for hurting, homeless people through us at Portland Rescue Mission! On Thursday, CarMax hosted the grand opening of their Clackamas store, inviting local TV station personalities to do a series of competitions on behalf of a charity of their choice. KGW chose us and raised $1,000 for people in need — that’s 625 hot, nutritious meals! Funding for meals is especially important this time of year. Even though summer is still here, the holiday season is just around the corner and we’re already stocking up our pantry to serve tens of thousands of meals in the next few months. That $1,000 check is a good start, but now we need your help to keep our food supply high for our busiest time of year! Check out this awesome video that shows the impact a meal can have, and make a quick online donation right here to provide meals for people in need this fall.